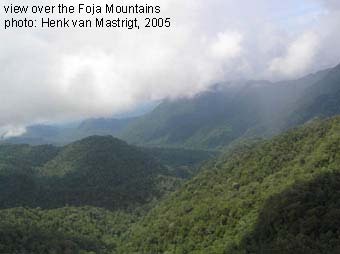 In November 2005 a team of 12 biologists made an expedition to the unexplored Foja Mountains (Gauttier Mountains) in the north of Papua Indonesia. The results were above any expectation! A lot of new plants and animals were discovered, but most of all the team was surprised by the lack of local people in the area. The area probably was never encountered by humans before! 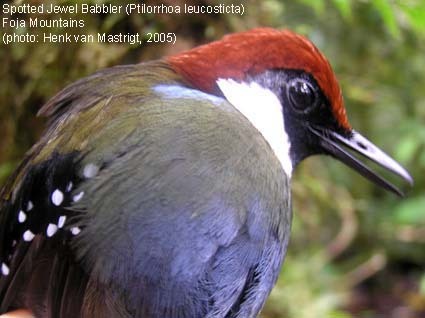 The American-Indonesian-Australian expedition was organized by LIPI, Conservation International, the Indonesian Ministery of Forestry and some other counterparts, with Bruce Beehler as head of the expedition, in order to find new areas of endemism. Although many scientists already suspected the area to be promissing for new founds of animals and birds nobody would have thought of the actual richness of the fauna and flora. Already at the first days of the two weeks expedition new birds, amphibians and mammals were found, which is rather unique. The rediscovery of the Six-threaded Bird of Paradise was another success. 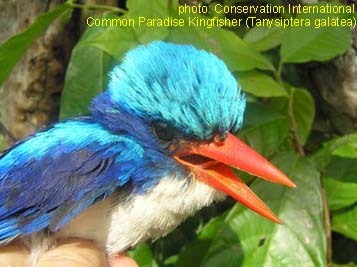 This beautiful bird was only known from a very old (dead) collection specimen and believed to be extinct! Exceptional large flowers were found of unknown plants, among which the largest member of Rhododendron. As far as yet clear for the insects at least four new butterflies of Delias (Lepidoptera: Pieridae) were found, four new species of Singing Cicadas (Homoptera) and at least one new small tigermoth (Lepidoptera: Arctiidae, Lithosiinae). 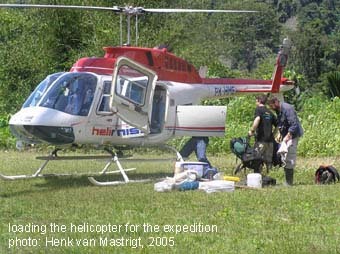 The collecting of the insects was done by our contributor of this website, Henk van Mastrigt. Very peculiar was the tame behavior of the birds and mammals because they probably are not used to humans. The animals were easy to approach. Local people believe that the mountains inhabit evil ghosts and therefore do not enter the area. 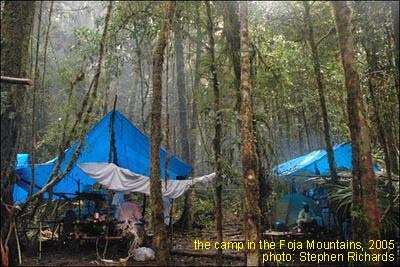 Because the area has a very high biodiversity (hot spot) and probably is an important area of endemism, the scientists are convinced of the need to protect the area against logging and other danger. Unfortunately the weather conditions were bad and the team had to cope with lots of rain and fog. Therefore there are plans for a second expedition in hopefully better weather conditions. The expedition suffered from bad rainy weather. For observing and collecting mammals and birds this may not be such an obstruction but for insects, and especially Lepidoptera, it is! 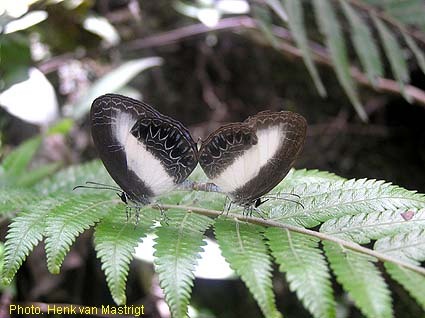 Henk van Mastrigt collected with much effort only 20 butterflies but at least 5 of them seems new to science! At light the results were much better. 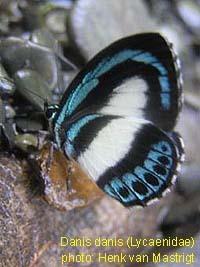 Moths and other insects could be collected in larger numbers. Some of these are being studied at the moment and soon the first reviews and new descriptions will be published. Some new Arctiidae (Lepidoptera) and cicadas (Hemiptera) are the first to be described from this expedition. More information on this expedition you will find on the website of Actionbioscience.